Creating ultra-low cost, long duration batteries to transform the potential of renewable energy. Renewable energy technology has come a long way in the past few decades, finally making solar and wind power generation competitive with fossil fuels on price. But they don’t work when the sun isn’t shining or the wind isn’t blowing. “If we want to power the world mainly with renewables we need to find a way to overcome that variability, so we have energy when we need it,” says Form Energy CEO Ted Wiley. That means storing energy long-term with batteries, to make up for a changing supply not only day by day but also week by week, and even across seasons. It’s these longer duration gaps that are of particular interest to the team at Form Energy, which is designing a new type of battery that could store renewable energy for months at a time at a fraction of the current cost. Even though the cost of lithium ion batteries has fallen dramatically in the past decade, they are still far too expensive to cover longer durations and make renewables the dominant energy source for our grid. That’s why Wiley was intrigued when Yet-Ming Chiang, an MIT professor and cofounder of battery company A123, asked Wiley to sit down for coffee in early 2017. Wiley immediately began working with Chiang to spin the technology from the lab into a company, spending nights and weekends fleshing out the idea. “If Yet’s idea is successful, it could completely redefine the power industry,” Wiley says. “The biggest contribution I could make at the time was to be the first person to get the ball rolling by jumping in with both feet.” Wiley helped recruit Ferrara, who had led the initial business case modeling, and Billy Woodford, one of Chiang’s top former students who had just spent several years developing advanced lithium ion batteries. Baseload Renewables raised a seed round from The Engine in August of 2017, and for a September launch event, they invited, Mateo Jaramillo—a former Tesla executive who initially ran the company’s drivetrain business before leading the creation of Tesla’s Energy Storage group. 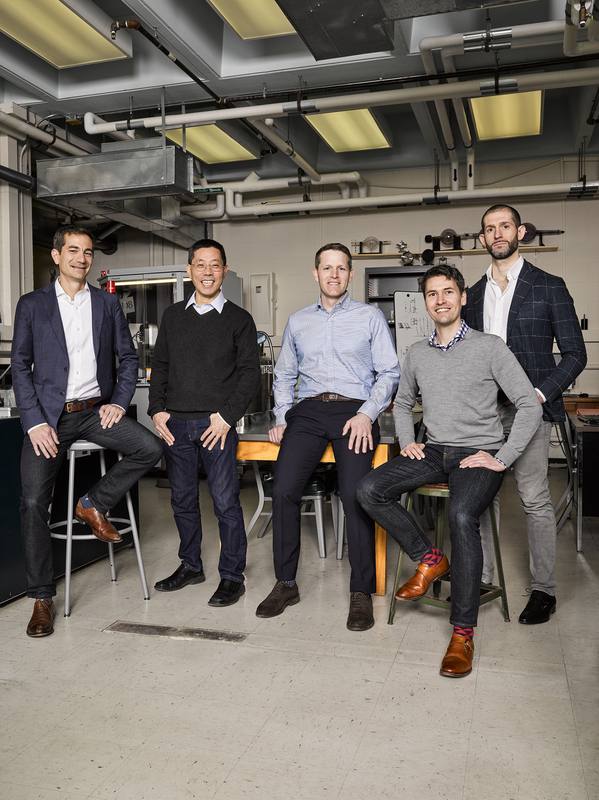 “We all had tremendous respect for Mateo’s role in creating the grid scale energy storage industry and were hoping he might sign on as an advisor or even a board member,” says Chiang. Jaramillo initially declined, saying that, while honored by the invitation, he was already working on his own battery company devoted to long-duration energy storage using a combination of chemicals different from Baseload. He had been working with renowned battery researcher Ian Mckay to refine the thinking and in fact, the idea had progressed to the point where Jaramillo had received a term sheet for investment for his company, Verse Energy, the day before and was planning on finalizing it later that week.